We love the comfortable and stylish interior of this freshly furnished light and bright bach! The lounge, kitchen and dining area is open plan with large bi-fold doors opening the home to the spacious deck, outdoor seating / BBQ area and big sea views. 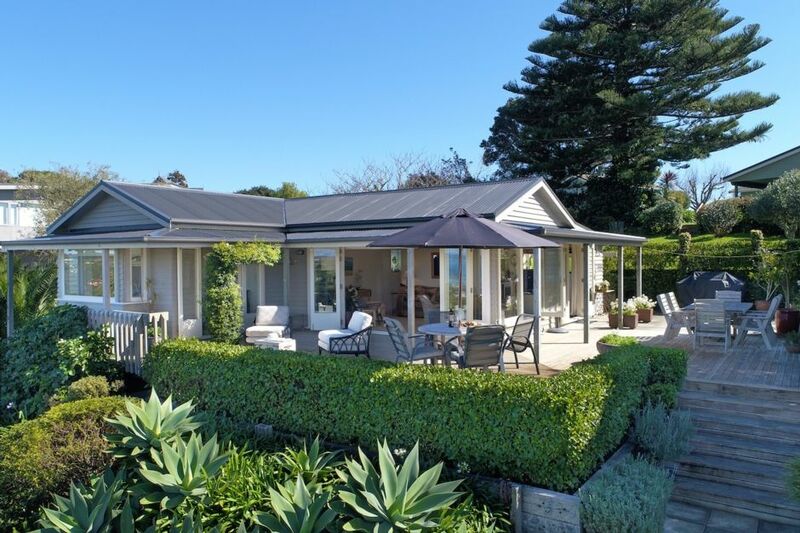 The close proximity to the village and ferry, white sand beaches, Mudbrick and Cable Bay vineyards make this property a perfect accommodation choice for Waiheke Island. If you are after a relaxing summer holiday by the sea, attending a wedding or event on the island or looking for a convenient winter escape from the city with friends, Tiri Heights is it. The property is not suitable for children under 8 years.